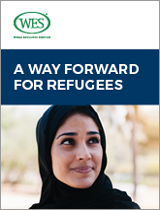 When WES launched a pilot project in 2016 to assess the credentials of Syrian refugees to Canada, millions of people had already fled conflicts in nations around the world. They had streamed across borders throughout Europe and the Middle East, creating an unprecedented wave of displaced people in distress. Between November 2015 and February 2016, the Government of Canada settled more than 26,000 Syrians from Lebanon, Jordan, and Turkey. By June 2017, almost 47,000 had arrived in Canada – to a sustained outpouring of public support. This report describes how World Education Services has begun to help those with post-secondary qualifications take their next steps toward integration.